The most recent article Vanadium Flow Battery Stocks: Barely A Dribble may have disappointed some investors who were expecting more opportunity for a stake in building energy storage. Large scale energy storage is an idea to which many in the utility industry speak, but few power producers have made significant investments beyond lithium ion batteries. Flow batteries have long been touted as a cost-effective and technically superior alternative for wind or solar power storage or for load-balancing efforts on the electric grid, as examples. In the last post we looked at the flow battery producers using vanadium materials as the foundation for the electrolyte that literally flows through the cells of these novel battery designs. In this post we look at an alternative material – zinc bromide. A zinc bromide salt is dissolved in water and pumped through a stack of cells in the battery, which functions much like an electroplating machine. As the battery charges, the zinc is electroplated onto conductive electrodes as the bromide forms. When the battery discharges, the reverse process takes place as the metallic zinc ‘plated’ onto the electrodes dissolves into the electrolyte. The zinc is not used up and can be plated back again in the next charge cycle. There are some special considerations for zinc bromide flow batteries. One problem is the need to discharge regularly, otherwise zinc dendrites can form and puncture the separator between the cell stacks. The electroplated zinc can be stubborn, requiring a special, periodic step to fully remove zinc from the battery plates. A big plus for zinc bromide is cost. An inorganic compound, it can be produced through a reaction of zinc metal and bromide, a salt of hydrobromic acid. Zinc is one of the most common elements on earth and is a readily available commodity. While relatively inexpensive, we note that zinc has increased over 30% from a year ago. Zinc reached an all-time high price in 2006 at over $4,600 per ton in November 2006, but has since retreated to $2,615 in early April 2017. Zinc bromide is already widely used in the oil and gas industry as drilled wells are prepared for the pumping or harvesting phase. Zinc bromide is considered toxic and requires special equipment and safety precautions for handling. Primus Power (private) is selling its EnergyPod 2 for long duration energy storage solutions. In January 2017, the company announced its second sale and installation in Kazakhstan for Samruk Energy, a sovereign wealth fund. The first system is installed at the Kapchagai solar power station and the second will at the Yereymentau Wind Power Station in Kazakhstan. Primus Power’s management thinks its EnergyPod is cost competitive because of an extended useful life of twenty years. Primus uses titanium for the battery electrodes, which is enabling up to 15,000 charge and discharge cycles compared to the usually 10,000 in most other flow batteries. Earlier this year Primus management bragged that Microsoft is testing a storage system using the EnergyPod 2. 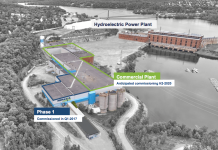 Investors can get involved with Primus Power, although there will be a bit of a wait. The company just completed a private equity financing, taking in $32 million in new capital. That brings total capital raised to $94 million from a widely scattered group of investors from Hong Kong, Saudi Arabia, Russia and the U.S.
Redflow Limited (RFX: ASX) is targeting entirely different markets – industrial, commercial and residential applications. 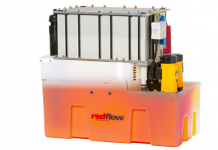 Redflow’s ZBM2 battery has capacity of 10 kilowatt hours. With a fully enclosed form factor and no need for ambient cooling the systems seems ideal for storing energy at telecommunications and other remote sites. The LCB system links several ZBM2 units together to deliver peak 300 kilowatts. It is larger, but still fits in a standard shipping container. Event the LCB system can be positioned in parallel to provide scalable solutions. For the residential user Redflow sells the ZCell with a10 kilowatt hour capacity to store energy from solar panels or wind installations. It is fully enclosed in a sleek design that fits well into the home environment. The company is a bit more accessible for investors at least to those who are prepared to trade on the Australia exchange. Redflow has not yet delivered profits and so trades with a negative price/earnings ratio on both a trailing and forward basis. From a cash earnings standpoint the picture is still a bit cloudy as the company has still not reached positive cash flow. Looking at the glass as half full, this means Redflow must tap the capital market from time to time to keep operations going, providing opportunities for qualified investors to get a piece of the pie. For U.S.-based investors who do not want to venture too far afield, there is EnSync, Inc. (ESNC: NYSE), a zinc bromide flow battery developer in headquartered in Wisconsin. EnSync wants to serve commercial and industrial markets with a ‘behind the meter’ solution it calls Matrix Energy Management coupled with its Agile Hybrid Storage system of zinc bromide flow batteries and lithium ion batteries. EnSync also offers the Agile Flow Battery on a standalone basis. In the twelve months ending December 2016, EnSync reported $10.8 million in total sales, resulting in a net loss of $18.9 million. Operations required $10.3 million in cash to support operations. At the end of December 2016, the company had $17.6 million on its balance sheet, which could give EnSync the runway needed to get operations off the ground and to breakeven. The Matrix Energy Management system and the ability to offer battery alternatives could be EnSync’s key competitive strength. The company recently announced a contract win from the Alliance for Sustainable Colorado for a facility located in downtown Denver. 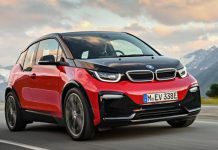 The project involves a 20-kilowatt rooftop solar installation, 84-kilowatt hour capacity EnSync lithium ion batteries, and EnSync’s software application to manage internal loads. While the zinc bromide battery developers still offer investment opportunities that are little more than options on flow battery technology, there appears to be far greater success in the market by this group than those with vanadium-based solutions. 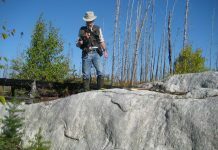 Our field work did not uncover any technological reason behind why one group should have so much more success than the others. However, we do note that the vanadium group has more members with a background in mining or producing vanadium. It is possible that the mining or industrial materials production background does not lend well to the requirements of battery development and market penetration with a finished product.